... a tale of a sneaky superintendent who lies, I think even to the school committee who hired her. Let's just skip right over the silly tale that the newly hired this school year high school principal "chose" to resign for personal reasons, shall we? Of course that's a joke. She wasn't given a choice to stick it out. I'm sure the conversation went something like "Hey, you wanna resign quietly and we won't say bad things, or be fired, and we'll tell the public you sucked?" I mean, I get it. A resignation doesn't lead to a contract payoff (maybe) and unemployment claim. To be clear, Destefano's replacement had been identified and interviewed by February 4, even though she didn't resign until March 13. 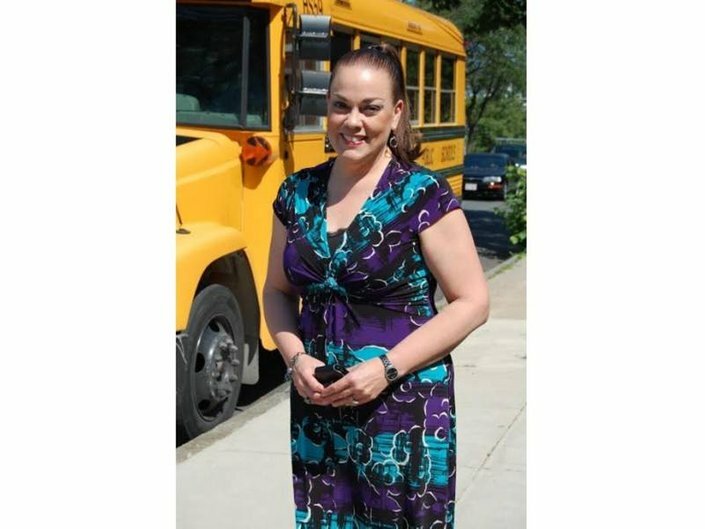 The new principal first officially contacted the district on January 29, after having a conversation with a Boston ed leader about our "interim principal opening" nobody knew we had. She interviewed on February 4. On February 5 we told her we wanted to move forward and to sit tight. She was offered the job on February 14. I've seen no evidence that anyone else was even considered. "The timing of this leadership change did not afford me the ability to conduct the community engaged process that I deeply value in selecting school leaders." So, per her letter, Ruiz deeply values a community engaged process in selecting school leaders. Why, then, would she be trying to avoid a public process? Below is from an email sent by Ruiz to Pacifico on February 26. This was almost two weeks after Dr. Pacifico had already been offered the job on February 14, just FYI. The Salem News must have a very similar pile of emails to the one I have, likely from the same source. (Thank you Salem parent, btw!) They published an article today mostly focused on the principal lacking a license and needing to get one. Waivers aren't particularly uncommon. It's a story, especially in that she's trying to stand on an application submitted in 1995. The snooze leaves out the why. Why doesn't she just apply anew? Ruiz explains this in an email to Pacifico. Apparently there were regulation changes in 1998 and 2004 that from the sound of this email would make it much harder (or impossible) for Pacifico to get a license today. Ruiz's goal was to get the license approved prior to announcing the appointment to "avoid scrutiny." If you're doing the right thing, and doing things right, you shouldn't fear scrutiny. How sneaky. The licensing was important enough to Ruiz that she went directly to DESE chief Jeff Riley on Pacifico's behalf. Why? Because she doesn't want to deal with public scrutiny? Because she doesn't think she can get licensed any other way? The School Committee should really ask. So, what was the red tape that stopped the original license? It seems from DESE's response that there were requirements not yet met. I'm not sure that's really "red tape." Have the requirements been completed since? Were they completed prior to the regulation changes in 1998? Has the superintendent asked? I don't know how the requirements changed in 1998 and 2004, and I don't know if Pacifico completed these requirements prior. Calling them "red tape," when Pacifico was working in environments that didn't require this licensing and may not have pursued it sounds at least a little disingenuous. I'm suspicious that getting this 24 year old application approved is the only easy licensing path here, and it will be interesting to see if Riley allows it. Klassy bets he will. Dr. Pacifico has plenty of school leadership experience, though little of it is in public schools. She may be fully qualified. Short of the missing license, of course. Changing gears, I also think it's interesting that they originally discussed a short interim appointment and it was Ruiz who had to talk Pacifico into extending it to an 18 month term. This delays the public process that our superintendent "deeply values" publicly, but is a situation she tries to avoid in private. We also must ask, where the hell is the School Committee in all of this? Principal hiring and firing is absolutely a Superintendent responsibility. Generally you see a school committee member sitting on a screening committee for principal hires. Of course, this was all done in secret so nobody was involved with that. On March 28 I asked one school committee member if they were aware that this was going to happen ahead of time, and if they knew that we started discussing the "opening" with Pacifico on January 29, and offered her the job in early February. The response I got was that the committee was not aware. They knew that there was dissatisfaction with the principal, and that the contract likely wouldn't be renewed. They were surprised when it became a mid-year change and had little to no notice. That doesn't sound like the relationship between the superintendent and the committee is particularly strong. They look really bad here, and should demand answers. In conclusion, Superintendent Ruiz jumped through a bunch of hoops prior to the appointment to try to head off the licensing article you just read in the Snooze, offered the job to Pacifico a month before the position was "available," and likely kept her school committee supervisors in the dark about all of it. She also specifically tried to avoid involving the Salem High School community in the decision, and lengthened the appointment to put that off further. If I were a SHS student or parent I'd demand a lot of answers. If I were a school committee member, I'd demand a lot of answers. I'm not sure we'll really see that from the current School Committee crop (minus Mr. Fleming), but hey, it's an election year. With everything she went through, Ruiz must be really confident that Pacifico is the answer to problems at the High School. She better be right. She's staked her reputation on it at this point. I'd love to know how a woman with so much PRIVATE SCHOOL experience is supposed to help our PUBLIC SCHOOL!!! Her "due diligence" and vetting would be hilarious if it weren't so awful. Munoz was hired, in part, because they needed someone bilingual at Bowditch. Um... he can't speak Spanish. I think the superintendent should be fired. Please start looking for a New Superintendent, this one can't be trusted. She needs to be fired! She has done nothing but hamper the school district! Future SHS students/families please don't lose hope! Despite the recent chaos there are amazing teachers and programs at the High School. Yes admin changes are desperately needed but don't let that dissuade you from the High School. We have a great History dept, Music Arts program, English Dept and so much more. When the students show up for class instead of hanging in the hallway. When teachers are there for class. When parents aren't delivering Dunkin to their kids during school.